Wire wrapping a bead is a simple wire wrapping technique but just needs a little perseverance to produce neat and consistent results. 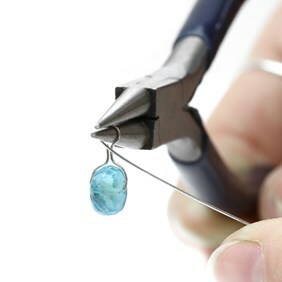 Once mastered you will be able to create a wide range of beautiful gemstone jewellery. 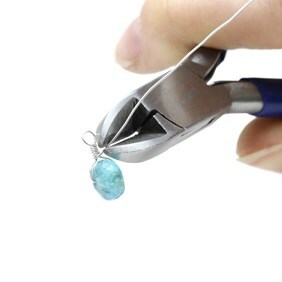 The following step by step instructions show how to create this technique which is particularly suited to using with gemstone beads that have small holes. This is because the 0.3mm (28 gauge) wire is very fine and flexible and is great for wire wrapping. However, you can create the same effect with larger holed beads and thinker wire, it will just be a littler more difficult! We recommend starting small so that you can master the technique with ease. 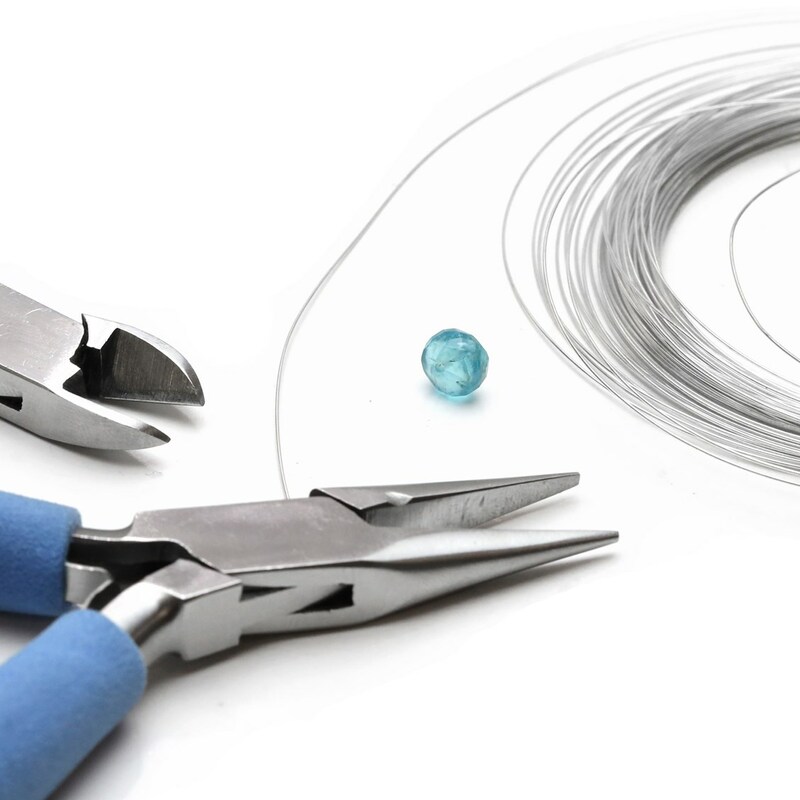 Cut a length of wire approximately 10cm long (it is easiest to have a little extra wire than you will actually use, as it gives you more to hold onto whilst wrapping). 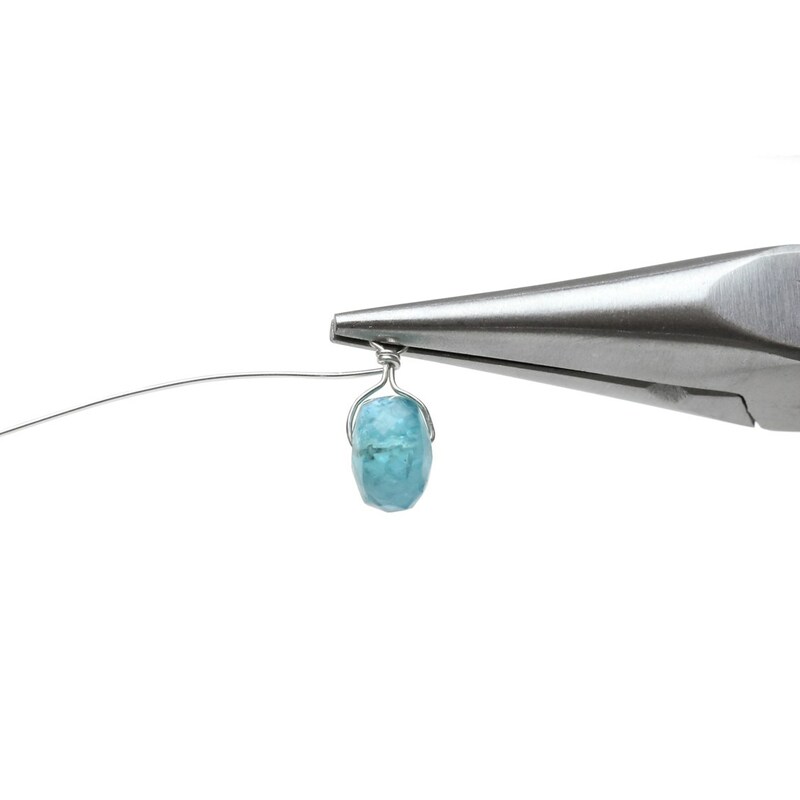 Slip your bead onto the wire, leaving approximately 2cm at one end (the other end will be longer). 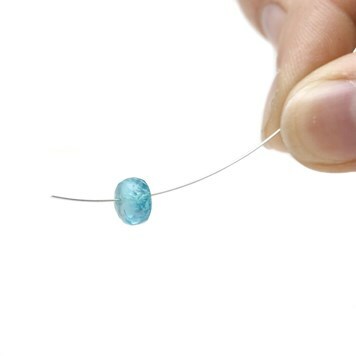 Pinch both ends of the wire together at the top of the bead. Check that the bead is centred. Cut off the end of the short side of wire, so that it is only about 2-3mm above the bead. To cut your wire use Side Cutters. Next form a loop with the longer side of wire by bending it to a right angle and wrapping it around the tip of your round nose pliers. 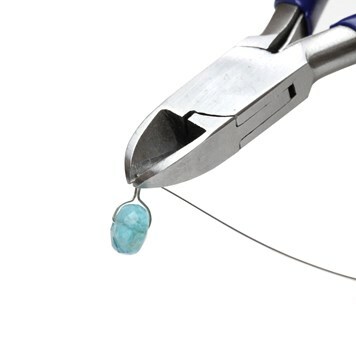 Make sure the loop is above the end of the short side of the wire and centre of the bead. Switch to using the snipe nose pliers and hold the loop flat between the tips. Take the long length of wire between your fingers and hold it taught. Start wrapping it around the stem of the wires - starting at the base of the loop and working down towards the bead. Make sure that each wrap sits neatly and close to the last. When you reach the top of the bead trim the end neatly with the side cutters. If there is a sharp end left bend it gently with the snipe nose pliers so that it sits flat and is tucked neatly away, so it will not snag on clothing. 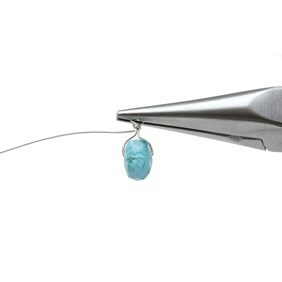 Your wrapped bead is now finished and ready to incorporate into a beautiful jewellery design. Remember that this technique takes practice (and a little patience) to master. So persevere if it doesn't look as you wanted on your first attempt or experiment with the technique until you find a way that works for you. 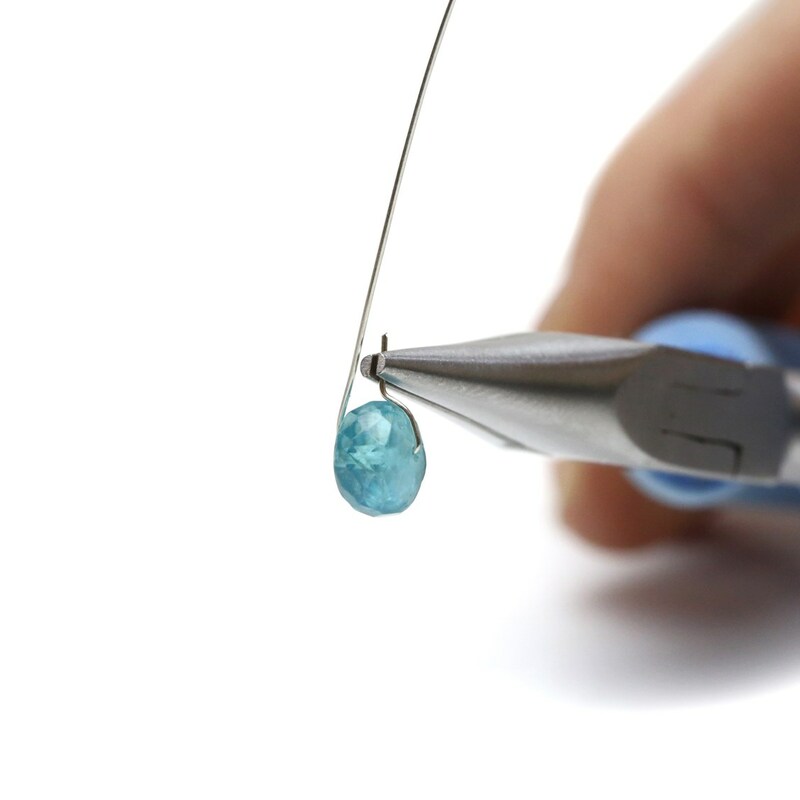 Once you have mastered this technique you will find it useful for many different beading projects. 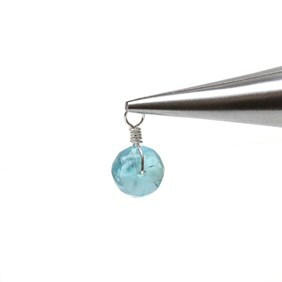 Wire wrapped beads like this can be attached with a jump ring to a section of chain and made into drop earrings and pendants or attached to a bracelet to make charms - the possibilities are endless!